Luang Por is one of the first batch of disciples ordained by Ajahn Chah at Wat Nong Pah Pong. He was appointed by Ajahn Chah as the abbot of Wat Pah Tam Seng, the 5th branch monastery of Wat Nong Pah Pong. Photos of Luang Por’s trip to Singapore. 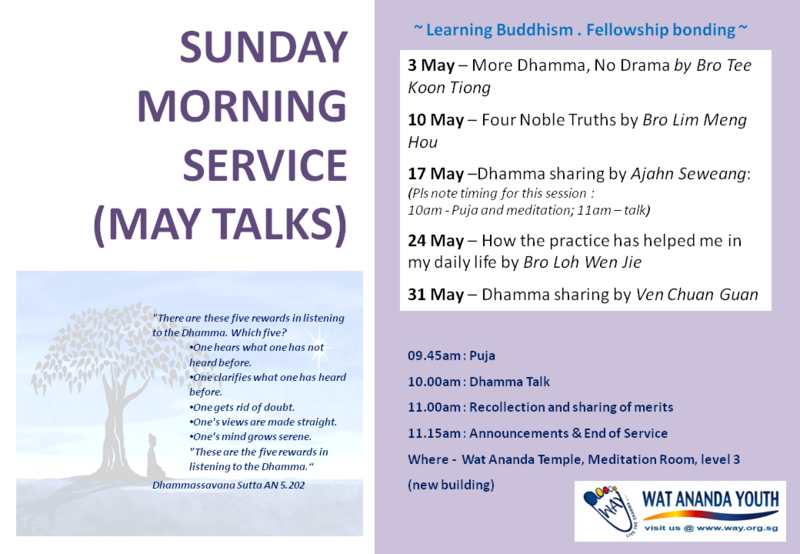 This entry was posted in Forest Way, Sunday Morning Service (SMS) and tagged Dhamma talk, SMS on April 27, 2015 by wayadmin. This entry was posted in Sunday Morning Service (SMS) and tagged Dhamma talk, SMS, Sunday Service on April 21, 2015 by wayadmin. 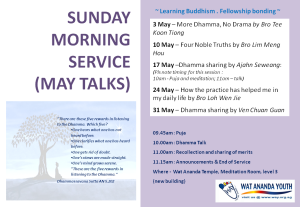 This entry was posted in Sunday Morning Service (SMS) and tagged Dhamma talk, SMS, Sunday Service on April 2, 2015 by wayadmin.